A swim coach will assist your dog in the water providing strengthening and flexibility exercises, gentle range of motion, and massage which helps alleviate pain and increase mobility lost from aging, injury,surgery, or degenerative conditions. Exercise helps re-educate and strengthen the muscles following injury, surgery, or neurological conditions. It is also great for healthy dogs. 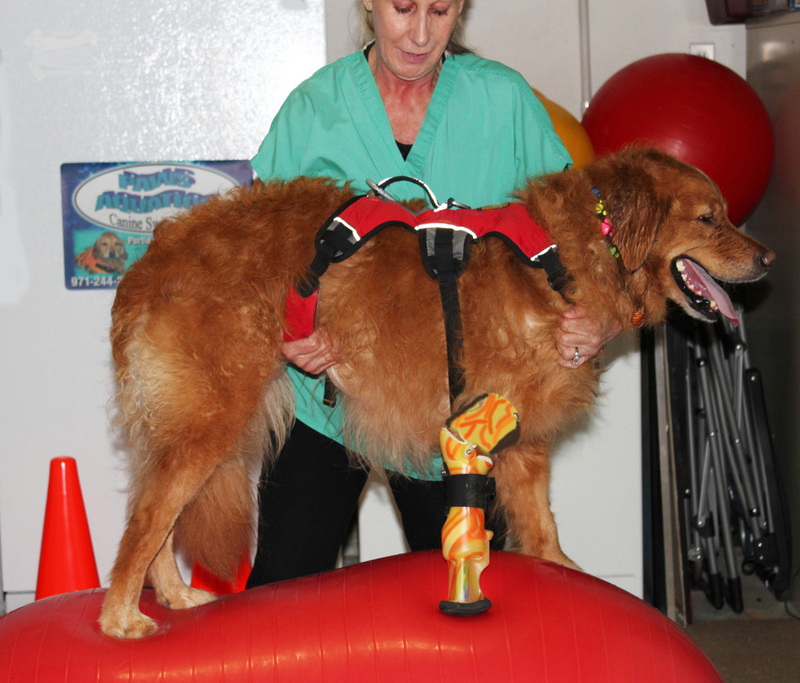 Therapy balls, cavallettes, weave poles,and wobble boards are examples of some of the equipment used by the therapists. The underwater treadmill provides limited weight bearing exercise for post surgical cases, or conditioning. The dog is in an enclosed chamber that fills with warm water to a pre-determined level. Then the dog walks on the moving treadmill belt. The deeper the water, the more body weight is supported. The therapist may or may not be in the chamber with the dog. Is my dog alone in the treadmill? ​​No, there is a therapist in the treadmill with the dog at all times. Is the treadmill only for rehab? ​No, it can be used for conditioning or weight loss as well. 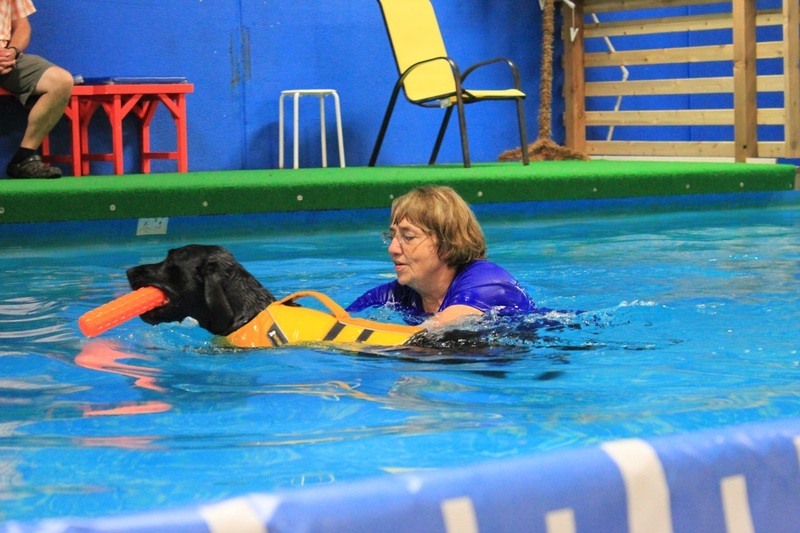 All dogs whether swimming for recovery or for fun will be required to have a complete or modified swim assessment, determined by the therapist, on their first visit. We will fit them with a float vest or a harness depending on their swimming ability. Most dogs will only require the vest for a short period of time before feeling comfortable in the water. Dogs that have done the initial swim assessment at either Paws Aquatics or Doggie Paddle do not have to repeat the assessment appointment. ​If your dog is over 10 years old or currently being treated for a medical or surgical condition, they are required to have a veterinary consent form.